Argentina is slowly on the mend. But, after seven decades since Peronism first reared its ugly head, there’s a hell of a lot to fix. I’ve lived in Buenos Aires for nearly 10 years, and have long felt that optimistic investors got ahead of themselves in Argentina. With the peso down 13% against the US dollar in the past 13 days, there’s finally been a wake-up call. In late 2015, Argentines narrowly voted to replace the government of Cristina Fernandez de Kirchner with one headed by President Mauricio Macri. At the time, consumer price inflation was running around 45% a year (by my own estimate – the official rate was about 11% and a complete lie). Macri inherited a financial and economic mess. But it’s nothing compared to where the country would be if a couple of percent of voters had swung the other way in 2015. We’d be well on the road to Venezuela by now. The new government moved swiftly to fix as much as possible. But his ruling Cambiemos block (“Let’s change”) is a coalition of three parties with a minority in both houses of Congress. So Macri needed, and still needs, to work with the (mostly non-kirchnerista but still Peronist) opposition to build consensus. Given his weak position, he’s achieved a great deal…but much remains. So much was, and is, messed up in Argentina it’s difficult to know where to start. But I’ll give you one simple example, by way of illustration. By late 2015, my heavily subsidised monthly electricity bill ran to the equivalent of just US$3.50. My latest bill was about US$40, up over 11 times. That’s still cheap, but it’s a big change. The poorest households still get the full subsidies and the wealthy don’t care. But the lower middle classes are (we’re told) feeling the squeeze, along with inflation that remains high in general (last year it was about 23%, and expected to fall to the high teens this year). The utility hikes are a hot political issue. The opposition is in the process of agreeing a bill to stop further increases. The president says he will veto it. That could bring the rent-a-mob protestors out onto the streets. Back in December, the government pushed through a sensible pension reform bill that linked future payments to rises in wages and prices. In response, thousands of protestors rioted outside the Congress building on two occasions, utterly destroying the square in the process (which had just been completely renovated). Argentina continues to have a fragile social structure and political consensus. The remaining kirchneristas and the hard left are quick to exploit this when they can. Despite the realities on the ground, investors got way ahead of themselves, especially when it comes to Argentine stocks. I’ve long been saying that there’s far more mess to sort out than most people seem to realise. Now don’t get me wrong, there’s plenty of good news. Macri’s gradual reforms have been bearing fruit. For example, the economy looks set to grow 2-3% this year (or, at least, it did until recently). Car sales are booming, and at record highs (not least since sales taxes have been cut). Tax receipts are growing 5-6% above inflation, as the economy grows and more activity is registered, which helps to cut the budget deficit (expected to be around 3% this year). Inflation is falling, although more slowly than the government hoped (although it should drop off sharply in the second half, after the big utility bill hikes are finished). Unemployment is falling too, and moves are afoot to bring more workers into the formal sector (currently, about a third of employees work off the books, for cash in hand). But there are genuine reasons for ongoing concern. The principle one is the huge current account deficit. Based on the fourth quarter of 2017, this is running around 5% a year, with no sign of shrinking. This makes the country reliant on capital inflows to keep the accounts in balance. To solve it, Argentina desperately needs to reduce imports and increase exports. On the import side, a large part of the problem is a big energy deficit (the country has significant energy resources, but has lacked investment). As for exports, punitive corporate taxation still makes companies uncompetitive in foreign markets (although this should improve over time). Another problem is a tiny and dysfunctional financial sector, a legacy of decades of crisis and uncertainty. 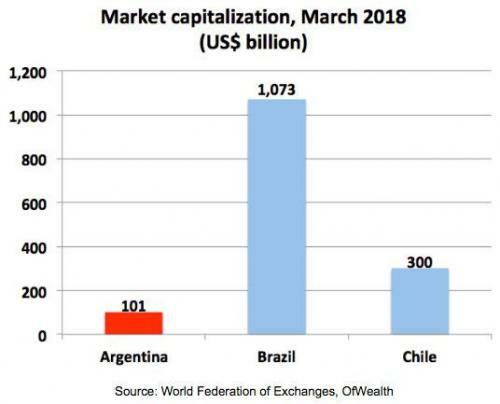 For example, the market capitalisation of the Argentine stock market was just US$101 billion at the end of March, or 16% of GDP. In neighbouring Brazil the market is 11 times as big and 52% of GDP. In Chile, it’s three times as big and 108% of GDP. This makes the Argentine stock market highly sensitive to global capital flows. When it’s hot, it goes through the roof. The minute it isn’t, it crashes. Let’s get back to what’s happened recently. As I mentioned before, the Argentine peso has plummeted 13% in the past 13 days (to 8th May). On 25th April one US dollar would buy 20.26 pesos. Now it buys 23.20 pesos, at the time of writing. The central bank’s response was to jack up short-term interest rates. Until very recently these were kicking around 27%. Now they’re at 40%. This appeared to stop the peso slide on Monday. But, come Tuesday, the peso was down another 5%. Currency speculators have scented blood…or investors are running for the hills…or Argentines are desperately trying to dump their surplus pesos and switch to US dollars (the haven of choice in these parts). Certainly, there’s been enough breathless, local media coverage that you’d expect the locals to be concerned. Some of the international media coverage has suggested that this could be a re-run of 2001/2002. That was when the suddenly-unpegged peso lost about two-thirds against the US dollar and the country had a massive debt default. That’s absurd. We’re still a long way from that. But it doesn’t mean Argentine stocks are attractive right now, so let’s turn to those. There are a couple of ETFs that offer easy access to Argentine stocks, both tracking the MSCI All Argentina 25/50 index. They’re the Global X MSCI Argentina ETF (NYSE:ARGT) and iShares MSCI Argentina and Global Exposure ETF (BATS:AGT). Although both track the same index, the fund providers give different valuation ratios (illustrating a common problem with ETFs…unreliable data). ARGT is meant to have a P/E of 24.5 whereas AGT reports 27.1. 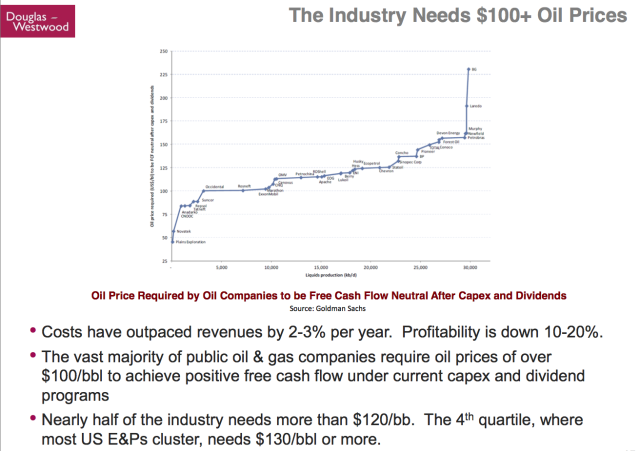 Either way, it’s a high number for such a macro environment. The index has large exposure to a couple of stocks with close links to Argentina, but whose fortunes aren’t really linked to Argentina. These are Mercado Libre (NASDAQ:MELI), a sort of mini-Amazon for Latin America (although MELI tends to make a decent profit), and Tenaris (NYSE:TS), a producer of specialist steel pipes for the global oil & gas industry. MELI is from Argentina but makes most of its money elsewhere, and Tenaris has joint Italian-Argentine heritage and makes almost all its money somewhere else. MELI is 23% of the index and Tenaris is 14%. After those two, Argentine banks make up 23%, and the rest is spread across many industries. The banks are growing fast, but make most of their earnings in depreciating pesos. Also, they currently enjoy absurdly high net interest margins (NIMs), being the difference between what they receive from loans and pay on deposits. I looked at one bank and estimate that, during 2017, it received 24% on loans and paid average 7% on deposits (note: that’s 16 points below inflation! 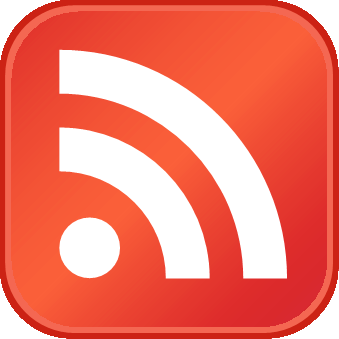 ), giving a NIM of 17%. But those NIMs are set to plummet in future. On the one hand – barring short-term issues – if inflation keeps falling then so will interest rates, meaning lending rates will come down. On the other hand, if banks want to keep up a high rate of growth in their loan books (the bank I looked at was up about 25% last year in dollar terms) then they’ll need to pay higher rates on customer deposits, in order to attract more funding. In the banking world, you can’t lend if you can’t fund. As it is, most Argentines would rather sit on physical 100 dollar bills than get a sub-inflation return (especially after income taxes) on devaluing peso deposits. 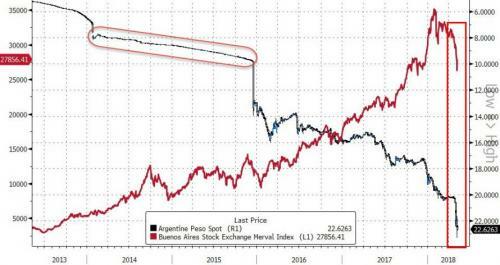 Argentine stocks continue to be way overpriced, and the index ETFs are not attractive entry vehicles…being a combination of a pricey tech stock, a pipe company, overpriced banks and a general bunch of peso-denominated earnings. If anything, this is a stock pickers’ market. But I haven’t yet found a stock worth picking, given all the ongoing macro issues. Argentina is slowly on the mend…politics permitting. 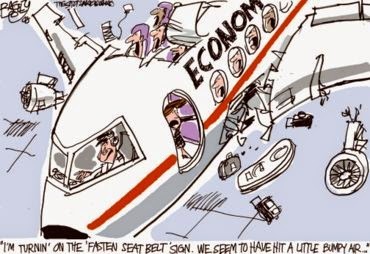 In fact, I remain mildly optimistic about the trajectory of the economy…and even the politics. But the recent peso plunge was overdue. In the meantime, I suggest you come and visit this beautiful country. International flights are a lot cheaper than before, as the protected market is opened up to competition. And, with the peso down, the excellent local Malbec and steaks just got cheaper.